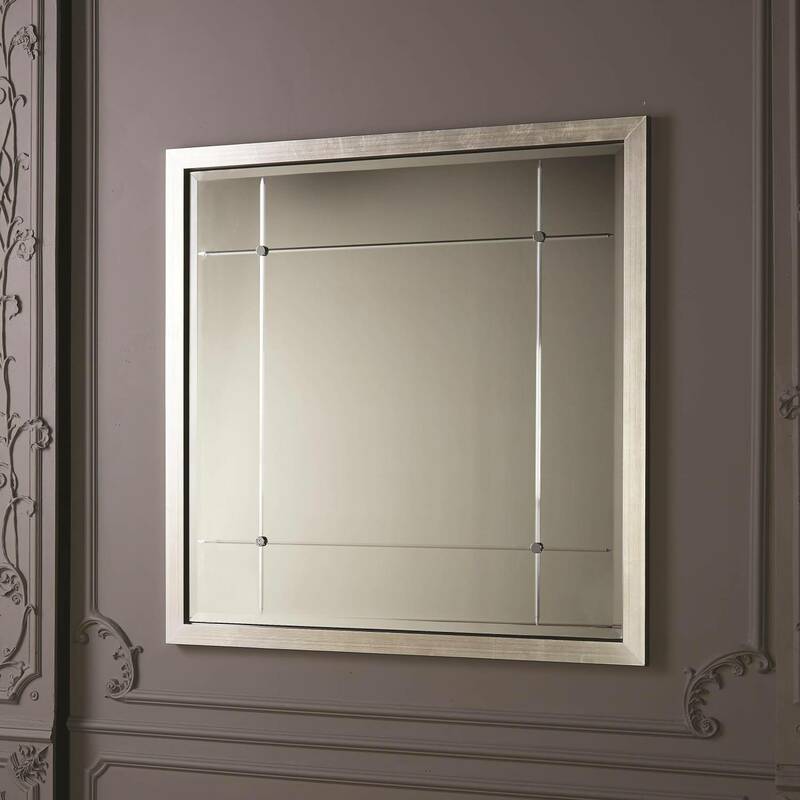 The Global Views Beaumont Mirror features a frame that is made of solid pine with a luxurious silver leaf finish. The mirror glass has a decorative beveled cut pattern with nickel clips. This is a large wall mirror that measures four feet by four feet.